At Ginza Aster, we pride ourselves on creating a unique environment that blends tradition and modernism. This respect for the past and dedication to innovation is seen in every dish we serve, which is why dining at one of our restaurants isn't just a meal, but an experience. We recommend making a reservation to secure your desired dining time and to ensure we can properly accommodate all your guests, as well as any dietary concerns. Certain locations can host larger groups in a banquet setting. We have an extensive menu of Chinese dishes, including course menus and set plans, available during lunch and dinner. 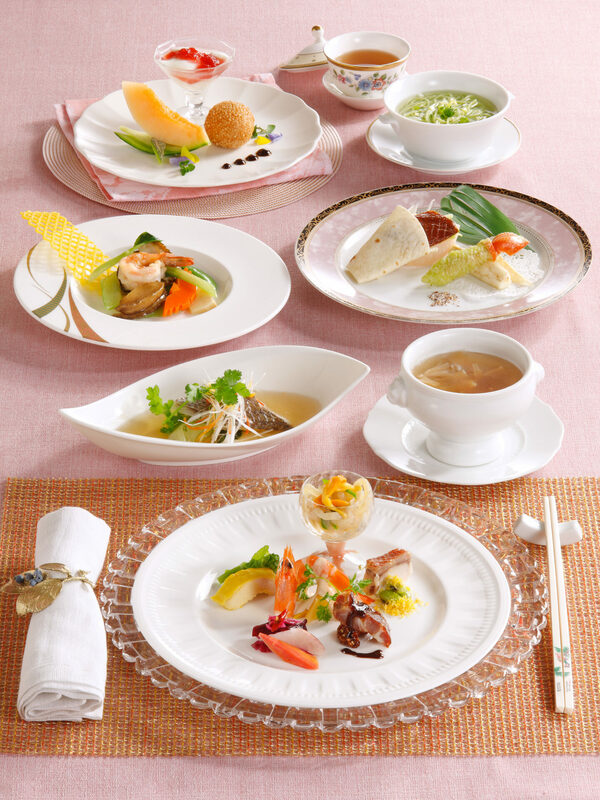 A lunch at Ginza Aster will typically cost between 3,000 and 4,000 yen per person. If you visit Ginza Aster for dinner, the cost begins around 6,000 yen per person. Not sure what to try? You can learn more about our cooking style, ingredients and signature dishes here to help you prepare for your visit to one of our restaurants. Throughout the year, we also offer special seasonal menus that allow our guests to sample new menu items featuring the best ingredients of the season and available for a limited time only. Even a small gathering of people can enjoy this course meal that offers a variety of gorgeous banquet dishes. Formal seating is recommended for this meal where each person is served individually. Contact your local Ginza Aster for more information about seasonal menus. 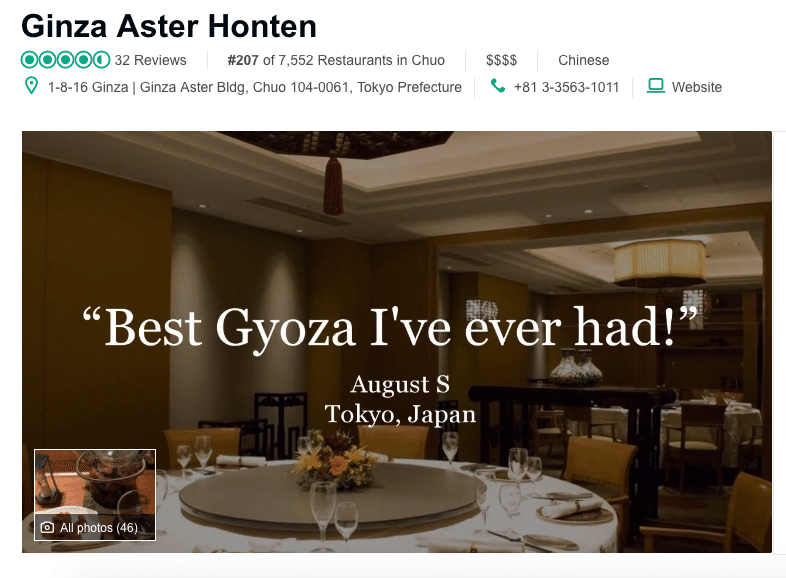 Patrons of Ginza Aster come back again and again for the quality of our food and our uncompromising mission to provide the best service possible. Maintaining this high standard — and continuing to improve it — is at the heart of our company philosophy. Please feel free to contact us with any questions you may have about dining at Ginza Aster. It is our pleasure to serve you. Check out customer reviews and recommendations on TripAdvisor.